If we were to ask you to picture a classy casino the chances are that a roulette wheel would form part of the image. 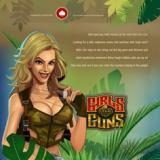 This is a classic casino game which can now also be played online. It is part of the table games category and while American and European are the two main versions of roulette you will find alternative versions on some of the more comprehensive online casinos. Even people who visit an online casino for the first time usually have a reasonable idea of roulette rules. The table is usually green and in the centre sits a large wheel with numbers going from 0 to 36 on it (the American version has a double zero as well). When the game starts the wheel gets spun and a ball is released. If you guessed right about the number where the ball would end up then you win. Of course, you don’t always need to get the exact number, and you could also scoop a win by choosing on red / blacks, odds / evens or any one of a number of other types of bet. You will probably want to start off on a basic roulette table, and the fact that there is no double zero makes the European version a little bit simpler to win on in the eyes of some gamers. You should check what options the online casino offers for customising the experience for you. In some casino sites you can slow down or speed up the games, switch off the sound effects or opt for a live dealer experience. Some of the slickest options may be just too slick for you when you are starting out. You will automatically get paid out on a winning wager but it may all happen so fast that you don’t even really know what happened. Sticking to a basic, relatively slow game is a good idea to get your feet under the roulette table and let you build up some confidence in the game. Once you play the game a few times you should be pretty clear on the roulette rules and you should have a clear idea of whether it is a good game for you to carry on playing. If you want some fresh excitement after a while then this is your opportunity to look for different versions and explore what is on offer across the internet.